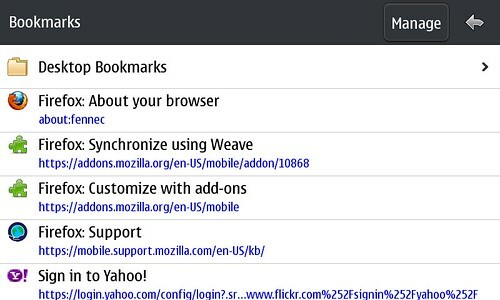 Thanks to some hard work from the Weave and Mobile teams, it's getting to be much easier to make sense of and navigate through the bookmarks that you sync between Firefox on your computer and your mobile device. 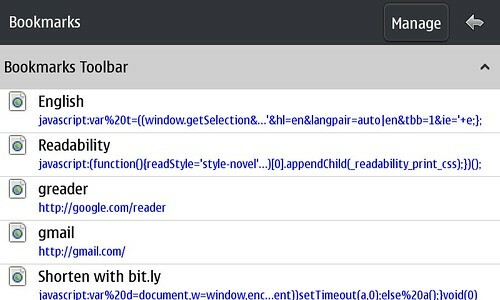 Many of us usually just use the awesomebar to get at all of our synced bookmarks, but this is very useful for those times when a browse strategy is better than a search one. 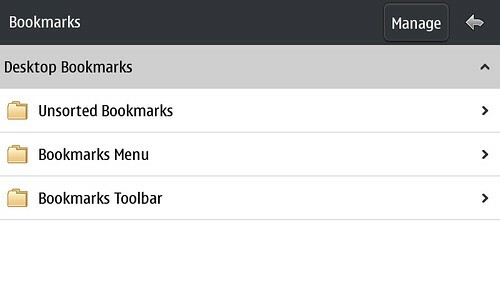 Which is the top level of your bookmarks hierarchy on the desktop. 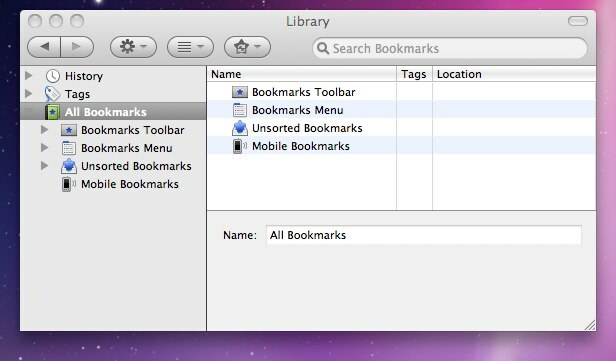 All your bookmarks, in whatever folders you've set up, are all in there! Which means that you can do more complex bookmark management, if you need to, where you have a larger screen and better keyboard.